オブジェアーテイスト　三毛猫とチワワとミニチュアダックスと暮らしています。Life with diary tortoiseshell cat and Chihuahua and miniature of sculptor Matsumura. インスタグラムデビュー(笑)！遅い！I finally started Insta gram! slow! 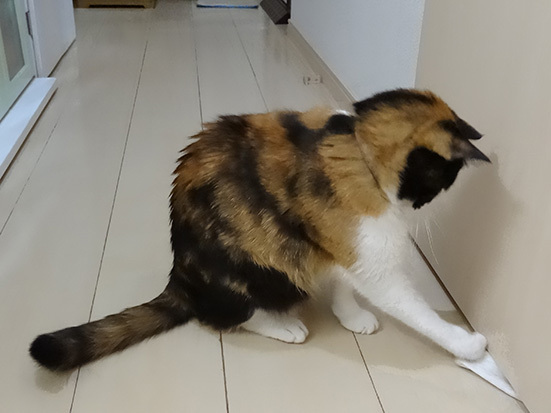 キテイがタオル遊びしています(笑)！My cat kitty chan has towel play. I began Insta gram pincers (laughs). ha ha. To me, it is a little difficult, but it is fun. Reply of Insta grams from Russian person is, in most cases, is a wonder to me. I like, such as Russia's picture book, I'm happy. People of Russia Thank you! Maybe time zone, it does that kind of thing. 猫の爪切りは難しいニャー！Nail clippers of my cat is difficult!